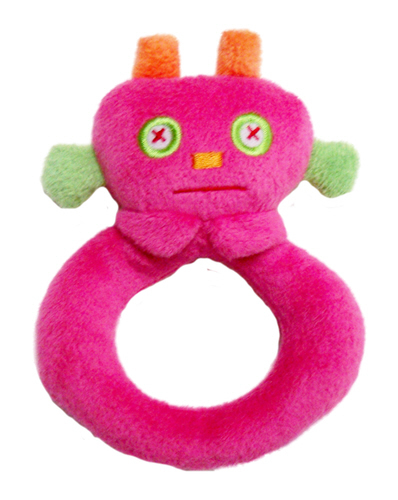 Angel Dear™ Fuchsia Ring Rattle is made of the softest fuchsia velour fabric. It has a orange horns and green ears. The face details are embroidered. The rattle measures 4 Inches.